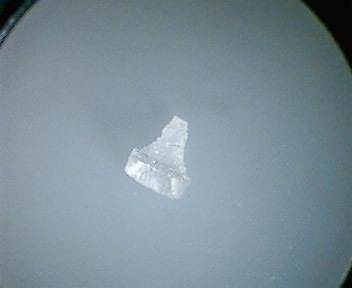 Well, it is a grain of salt from Bali! The salt is shaped like a little hollow pyramid. 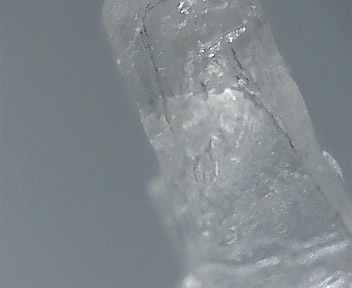 I zoomed in 60x with a toy digital microscope I have to get a better look. 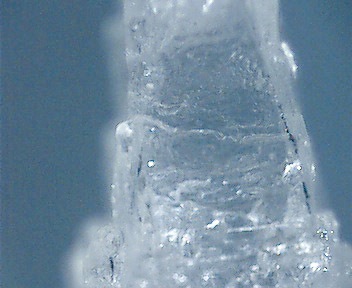 Below is a picture of the salt grain, but only zoomed in 10x. You can see its shape a lot better and the hollow indentation. The shape gives each grain a nice crunch.